List of Landline Phone Numbers of All ST Bus Standings in Gujarat. 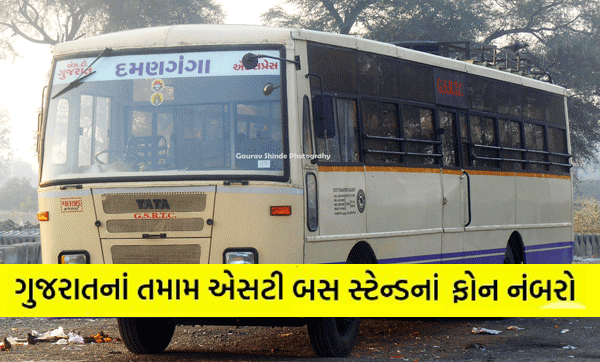 Today you have information about the landline phone number of all ST bus stand in Gujarat. All readers are requested to provide this information on their Facebook and WhatsApp accounts so that anyone else can be useful. Sr. No. Depot Control Point Depot Manager Enquiry No.